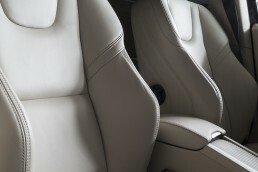 Leather should be maintained to reduce the risk of discoloration and cracking. However, due to the sensitive nature of the material, it is important to make sure that the cleaning process does not cause any damage on the leather. We at DITEC® use a special cleaner in order to remove soil and stains. When the leather is completely dry, we apply the protection which impregnates the surface.